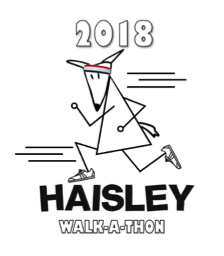 The Haisley Walk-a-thon is October 26, 2018. The Haisley Walkathon is an important fundraiser for the Haisley PTO. We need full participation from all students & staff to make this event successful. Last year we raised over $12,000! This year, our goal is $15,000. If every student raises at least $45, we’ll meet our goal! Look for Pledge Envelopes to come home in your child’s backpack. All envelopes are due back by race day. We also need volunteers! Volunteers will be needed to set up and take down the event, as well as count laps for the kids. Click here to sign-up! A big "Thank You" to all of our wonderful Sponsors.